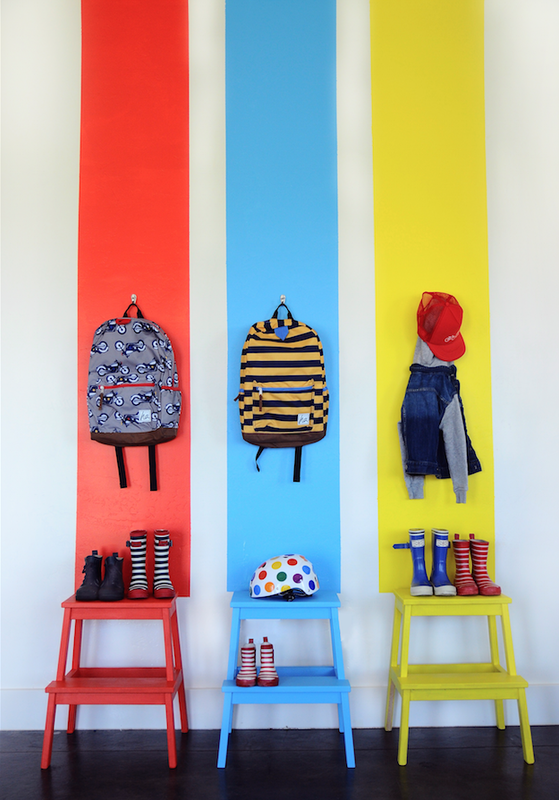 Think beyond blue and pink when choosing colours for your children’s room. 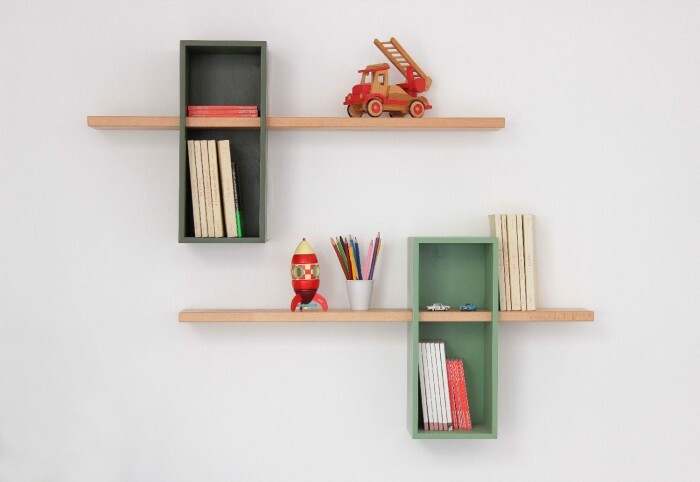 A touch of green could be a great option for a kid’s room or baby’s nursery. 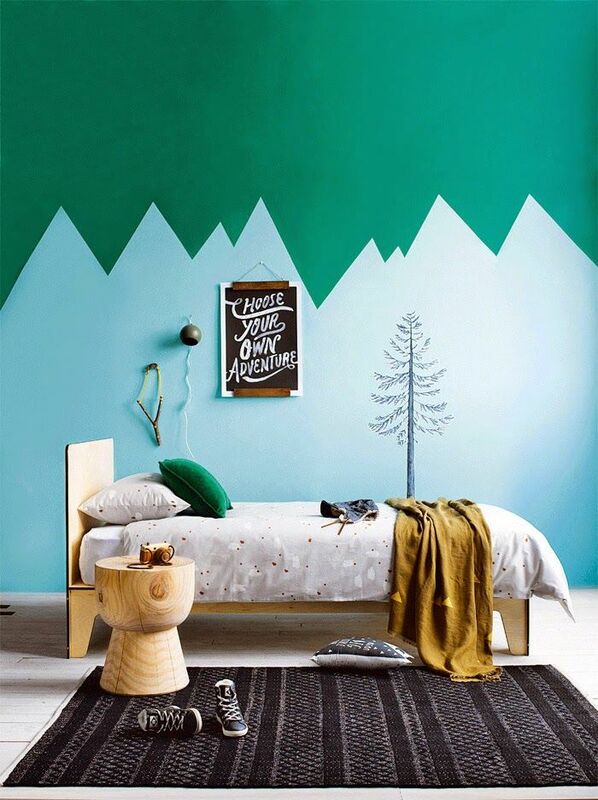 Green symbolizes nature and thus promotes a serene and calming environment. You have many options to choose from. 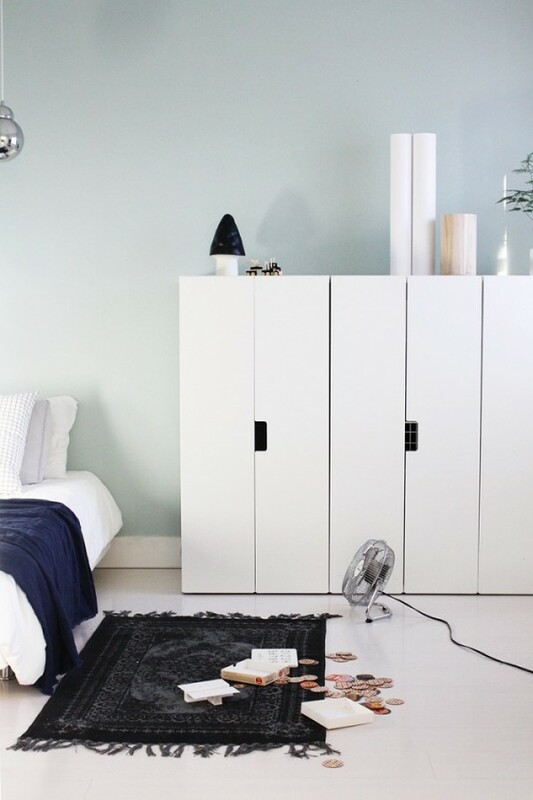 Here are some of them: a half-painted wall in green, some textiles with green motifs or some furnishing details in that colour add warmth to the room. For a modern look, I especially love the combination of dark green, wood furniture and black accents. 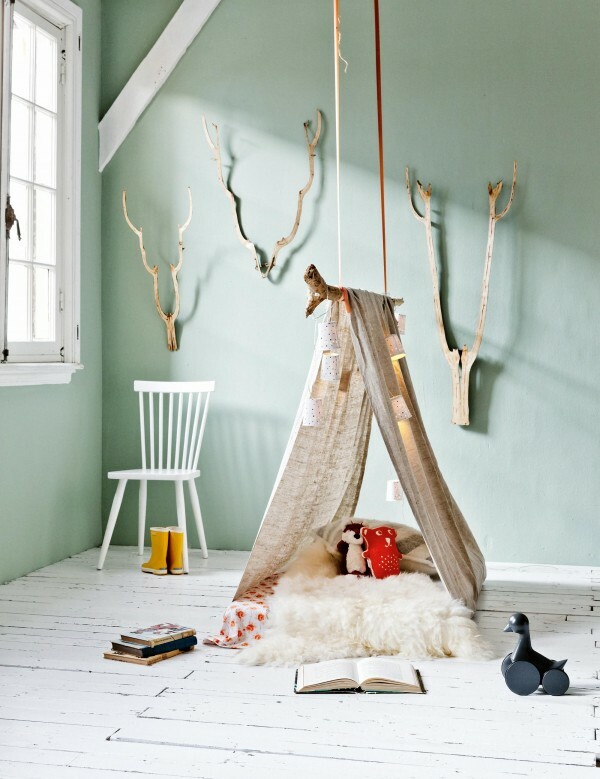 The first picture, a styling of My deer art shop, is clean, fresh and harmonious. Play with the tones. 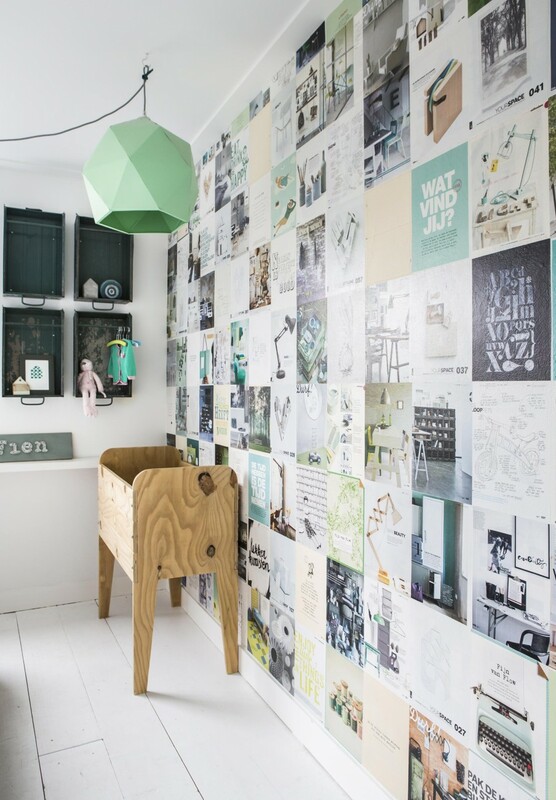 Investigate which type of green is better for your decoration. It’s a great idea to choose a muted or dusty one. 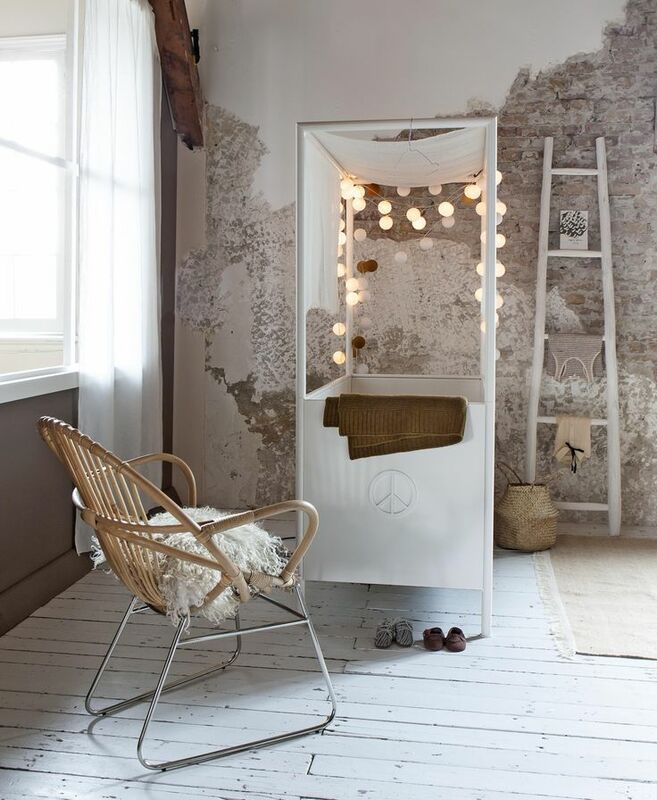 Paint a piece of furniture in this hue or paint only a half wall. 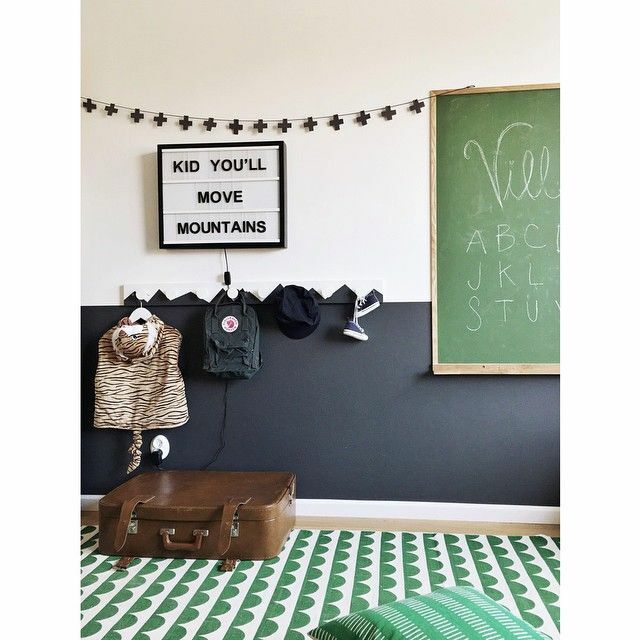 They’re a subtle yet effective ways to add personality to your kids room. 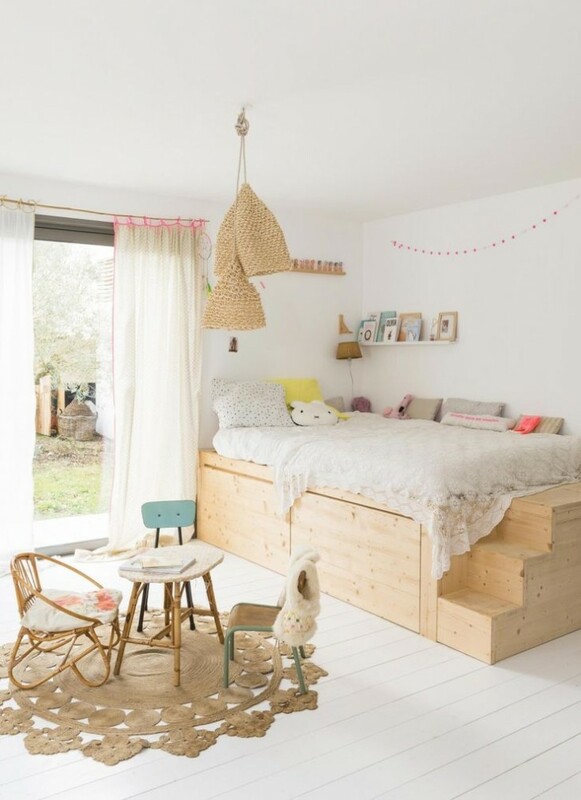 Simple, well-designed accessories give some extra charm to the kid’s bedroom, like a beautiful green pastel lamp or a functional green shelf. 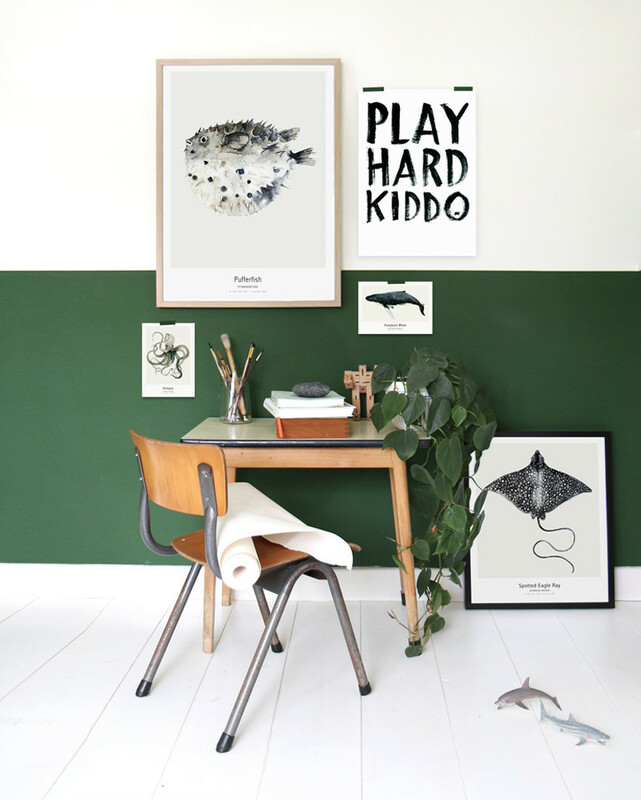 Mint green is such a refreshing colour for a kids room, playroom or nursery. 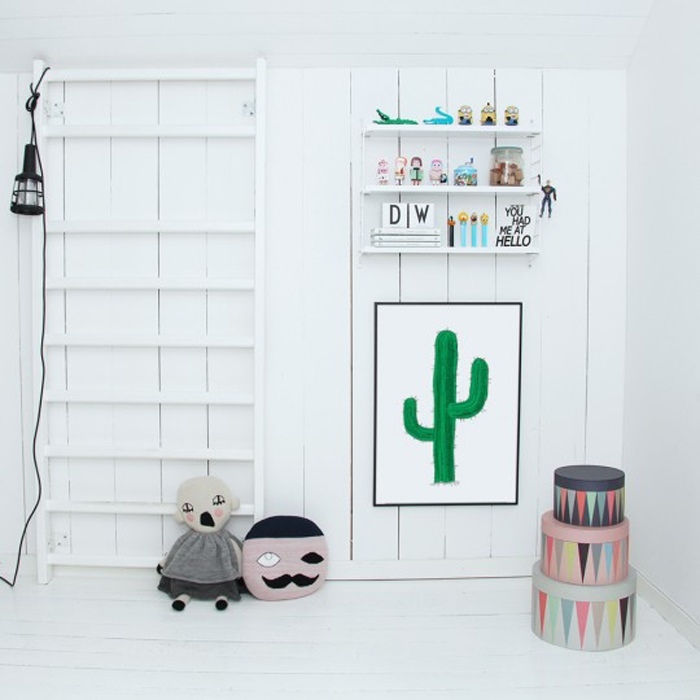 It’s perfect for minimal kid’s room, Scandinavian style spaces but also for eclectic bedrooms. 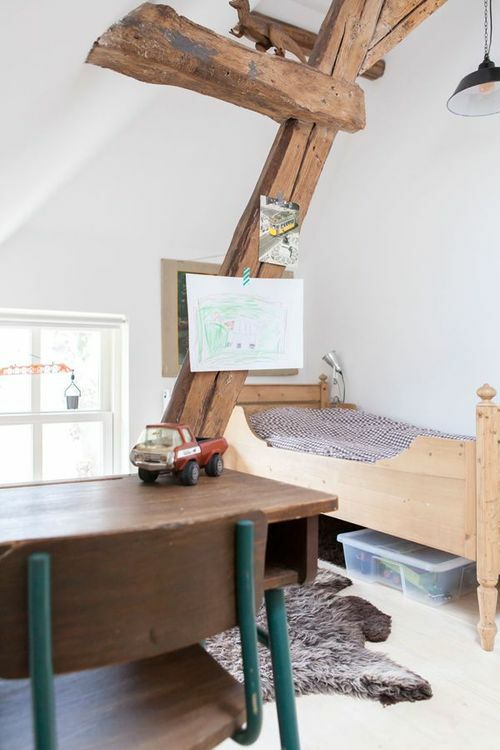 This boy’s room is decorated in industrial style with an amazing wooden floor and interesting furniture. 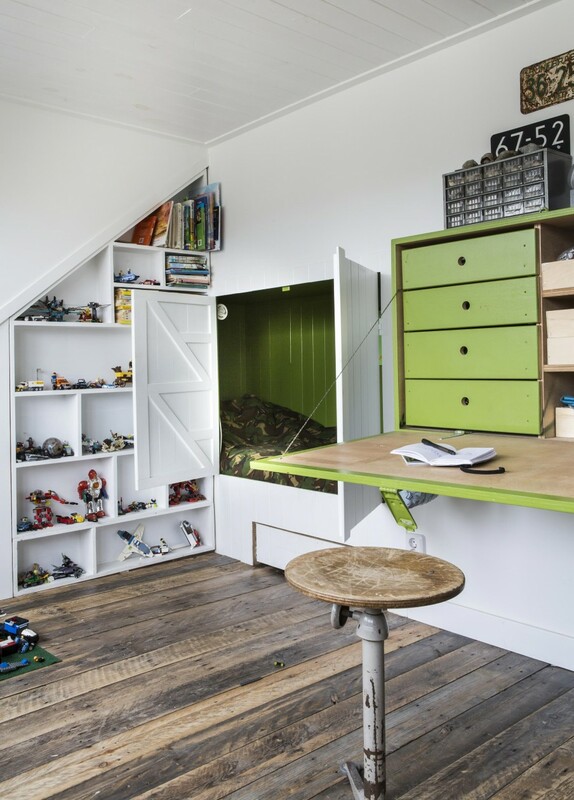 This time, they’ve just painted in green some details of the kid’s desk and hidden bed. 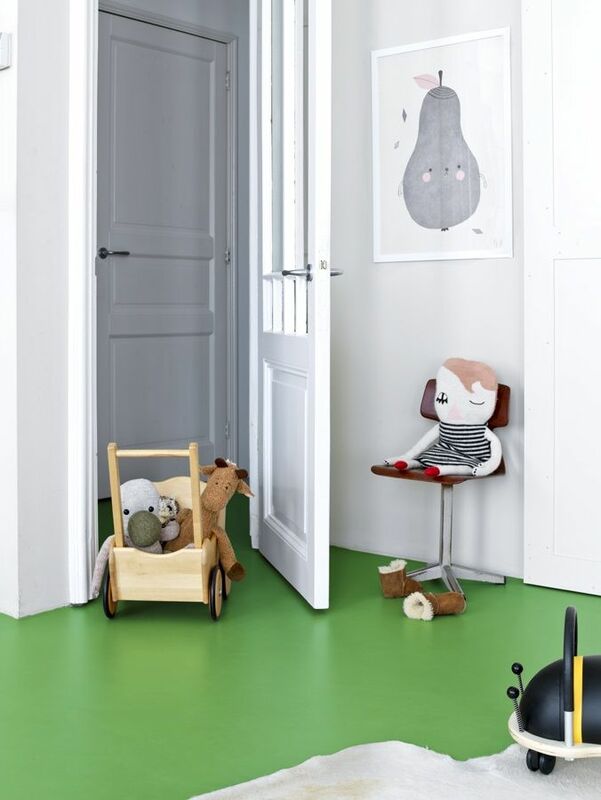 What do you think about a floor in high gloss green? 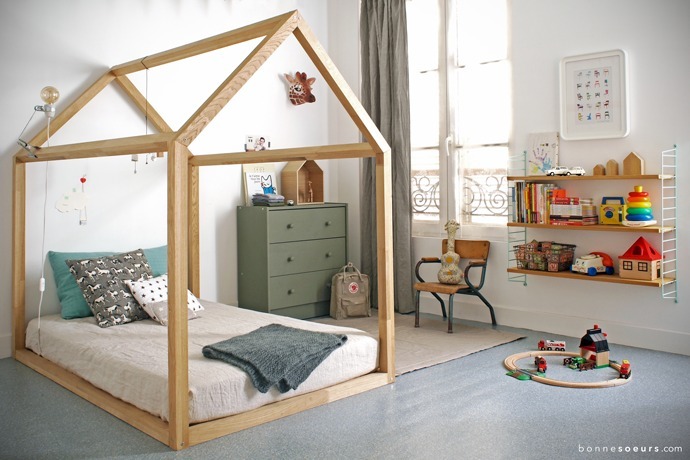 It’s a bold decision, but if you maintain the other elements of the room simple and neutral, it could be a very original and fun option. What about you? 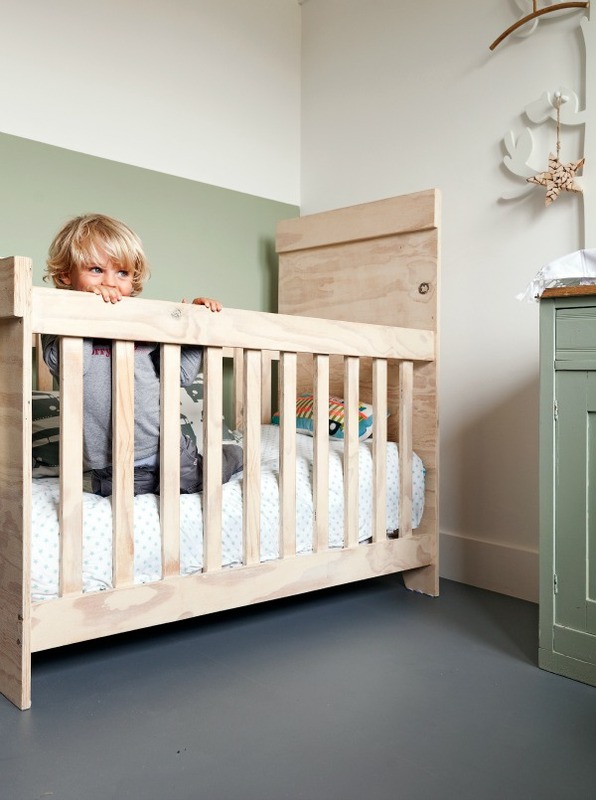 Do you like a touch of green on your kids room or prefer another colour?